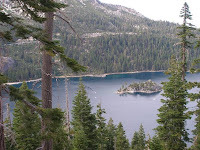 This site is dedicated to the research of Bigfoot encounters in the Tahoe and outlying Sierra region of Nevada and California. It has been brought to our attention that there are a great many people who have had encounters, across the globe, who are reluctant to come forward about what they've experienced. We want to open our door, for witnesses to come forward, so more information can be gathered on possible encounters with the "North American Great Ape." 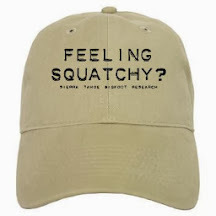 Bigfoot, or "Sasquatch" field research will be conducted as well as eyewitness interviews and investigations. If you have had an experience, we'd love to hear about it, and it will be kept in strict confidentiality. We want to gather the evidence necessary to prove Bigfoot's existence, so it's habitat, and way of life, can be protected. "This site is dedicated to the research of bigfoot, and it's habitat, in the Tahoe and outlying Sierra region of Nevada and California. Bigfoot,or "sasquatch" field research will be conducted, as well as listening to witnesses who want to talk about their experiences. Our mission is to learn as much as we can about the sasquatch. Maybe we can all gather a better knowledge of the species, so ultimately, we as a race understand that it's habitat, and way of life, must be protected."